This article is a step by step breakdown on how to enable the view calendar option for not available vehicle classes. 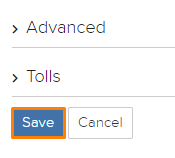 When you enable this setting and have vehicle classes that are not available, a button will appear showing the next available date of all the classes as shown in the picture below highlighted in orange. To learn more about the calendar, click here. Next, navigate to the “Calendar” section. Here, select “Yes” under “Show View Calendar on Not Available Vehicle Classes” as shown in the picture below highlighted in orange. Now when you click on the “View Calendar” button that shows on a not available vehicle class, it will open a new page where it shows the calendar as shown in the picture below.